The “Yuba Train” (as my wife calls it) continues to get a lot of use. Although it has about 30 lbs of work electric assist gear on board, tonight she took the scenic route to dinner and back and never used the electric assist. It was a fun fitness ride, and my daughter was added a significant contribution through her own pedaling as well. At 5, our daughter already has a good sense of when to shift gears on the Piccolo, helps us to get the most out of her contribution. Tomorrow she may attempt a solo grocery trip with two kids by bike. 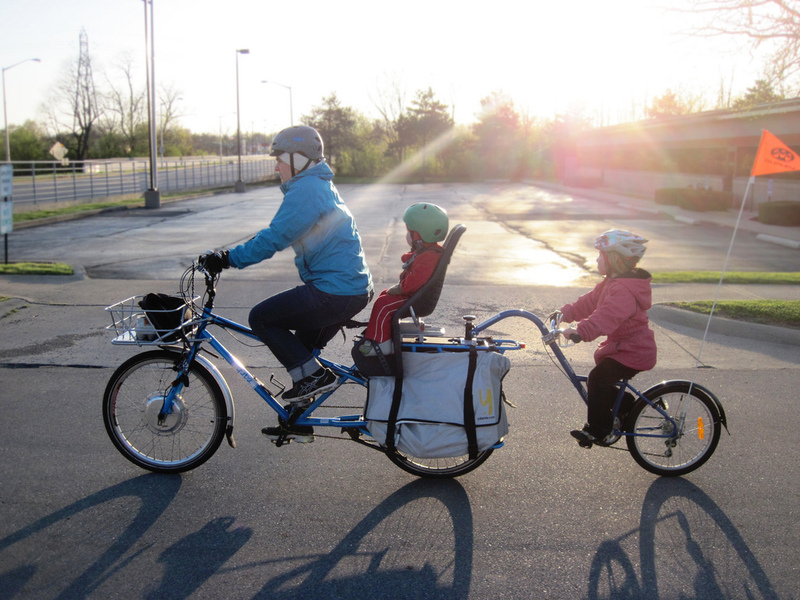 See more photos of the Yuba + Piccolo “Yuba Train”, or all my Yuba photos.